Great oral health is centered around general dentistry. Regular, routine care of your teeth, gums, and mouth can prevent complications and dental problems that adversely affect your overall health. We are committed to your long-term oral health, and we’ll help you achieve great smiles with preventive care that wards off decay and disease, and proactive treatments that stop dental issues from progressing. 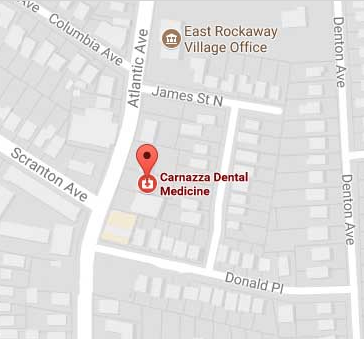 At Carnazza Dental Medicine, you’ll always be in control of your smile. We work with you to create a comprehensive treatment plan that focuses on your health and aesthetic, while providing a wide range of general dentistry services for every member of your family. Our gentle dentistry is suitable for preschoolers and adults alike, and your comfort is always a top priority. Let’s face it. Any dentist can just clean your teeth. Dr. Carnazza and his team go above and beyond hygiene appointments to get deep down into the inner-workings of your smile. From digital x-rays to see under the surface, to screenings for oral cancer, to prevention of gum disease, we set a different standard of routine general dental care. Whether it’s been awhile since you’ve had a professional cleaning, or you’re trying to stop tooth problems in their tracks, Dr. Carnazza’s gentle general dentistry options are an excellent starting point. We can detect any areas of concern quickly with our comprehensive exams, and create a treatment plan that promotes preventive care for future problems. Treat your smile right and it’ll sparkle. Our general dentistry is the perfect place to start building a lasting relationship centered around your lifelong smile. When was your last appointment? Schedule your next visit now! In order to determine your current oral health and create the best treatment plan for you, we need to examine your mouth. With your permission, Dr. Carnazza will perform a comprehensive exam as needed, complete with x-rays, periodontal screenings, oral cancer screenings, and hygiene review. This is the first step to achieving your smile goals, and by assessing your needs, and identifying areas of concern, we can intervene early enough to stop problems from taking over. Oral cancer is a very serious disease, which is why you should receive a screening by the dentist as soon as possible. Early detection is crucial to positive treatment, and can even be lifesaving. Tobacco and alcohol users are more susceptible to developing oral cancer, however anyone can be at risk. During our comprehensive exam, we’ll use visual and manual detection methods, as well as the Velscope Vx, to seek out abnormal tissue in the mouth, cheeks, gums and tongue. Get screened today! To learn more, please watch this video about the amazing Velscope Vx Technology. Technology is a big part of what helps us deliver quality dental care. Our office is one of the only in the area to use Velscope Vx soft tissue screening to detect mucosal abnormalities, and provide comprehensive oral cancer screenings. Velscope screenings take only about two minutes, and is convenient and comfortable. The device uses a harmless blue light which Dr. Carnazza uses to inspect the natural fluorescence of the soft tissue when exposed to the specific light spectrum. Using this technology is beneficial to patients, as early detection is crucial to successful treatment. For more information about this amazing technology, please read our blog! Our eyes can tell us a lot, but a picture speaks volumes. Our digital x-rays capture high definition images that display precise, crisp details. These high-quality images are important diagnostic tools, and allow us to see areas of concern under the surface of your teeth and gums. Digital x-rays use less radiation than traditional film imaging, while documenting the bones, roots, and other areas of your mouth in greater detail than the traditional. Digital x-rays offer the chance of early intervention, as well as the ability to plan your treatments in a more efficient manner, while ensuring accuracy. A deep, professional cleaning by our skilled hygienists can keep your smile looking and feeling great. We use Piezo ultrasonic scalers to remove debris that traditional toothbrushes can’t get. This debris can build up and turn to plaque bacteria, the cause of gum disease. We’ll also discuss your current oral hygiene routine, and recommend habits to maintain your clean, sparkling smile at home. Proper brushing and flossing techniques are essential, so never hesitate to ask if you have a question. When you think of dentistry, you think of your teeth. However, your gums play a huge role in the health of your mouth and in the appearance of your smile. Maintaining healthy gums is vital, as plaque buildup causes gingivitis and gum disease, one of the leading causes of adult tooth loss. If your gums are red, swollen, receding or you notice they bleed when you brush, ask us how our periodontal therapy can reverse the signs of gum disease. In some cases, we may prescribe ARESTIN, a medication to fight the harmful plaque bacteria. Love your gums the way you love your smile. Call us today and we’ll help you get back to a healthy smile. Protecting your smile is important. If you suffer from nighttime grinding, known as bruxism, you may notice excess wear and damage to your teeth. Often, patients find stress to be a major contributor to teeth grinding. We promote stress reduction and the use of night guards, which are custom-created oral appliances that fit over your teeth while you sleep. They are created from high-quality plastic, and are comfortable to wear. We also offer sports mouthguards for children, essential for protecting their developing teeth during activity. Being nervous isn’t a reason to avoid the dentist. Whether you hate the sound of the equipment, have a fear it will hurt, or have experienced dental trauma in the past, we’re here to make your visit as pleasant as possible. No matter what treatment you opt for, we will always keep you comfortable and as relaxed as possible. We offer light oral sedation, as Dr. Carnazza can prescribe a medication to be taken prior to your appointment. If you have trouble swallowing or don’t like pills, nitrous oxide is a safe alternative. An inhaled gas, nitrous oxide keeps you awake but calm, and the effects wear off quickly after the gas is shut off. Ask us which option is right for you. Remember the big, bulky metal braces of the past? Adult orthodontics have become a big secret with the Invisalign system. We offer these clear, custom-made plastic aligners which gently reposition your teeth over time to straighten your smile. The aligners come in a series, which you swap every two weeks. They are fully removable, which makes them convenient for eating, drinking and cleaning your teeth. We’re happy to provide a consultation to see if you are a candidate for these virtually undetectable orthodontics. Dr. Carnazza is committed to your care, even during dental emergencies. These situations are never convenient, and can make using your mouth awkward, difficult and even painful. We don’t want our patients to ever have to suffer, so we’ll get you in as soon as possible and help get to the root of your discomfort. We won’t make you wait it out until it’s convenient for us. Your care is our number one priority. If you are experiencing a dental emergency, please call our office right away. Call (516) 882-5120.